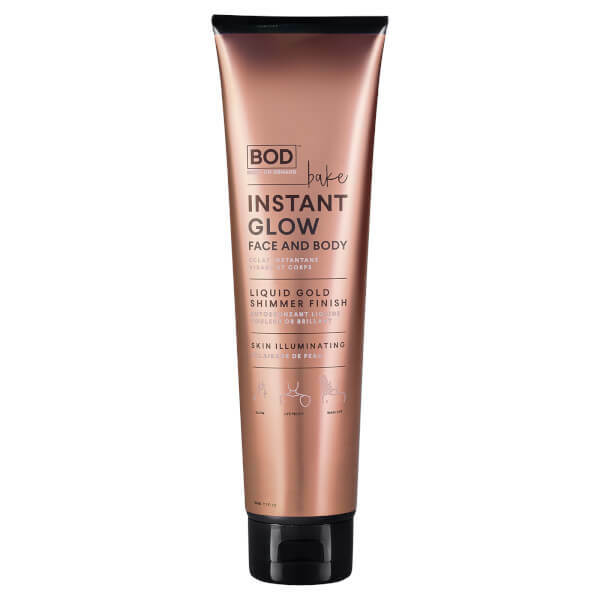 Enhance your skin with BOD Bake Instant Glow for Face and Body, a tan-illuminating formula that instantly transforms skin into liquid gold. 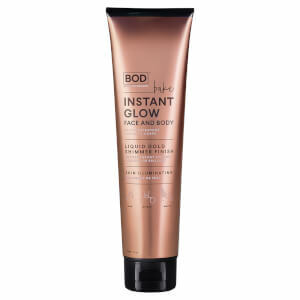 Waterproof and super-fast drying, the wash-off face and body highlighter glides effortlessly onto skin, delivering an illuminating, light-reflecting finish that adds a radiant glow while creating the illusion of a more toned body. Tried and tested to suit all skin tones, the formula will leave skin looking gorgeous and glowing. Mix with foundation or apply directly to targeted areas such as the cheekbones, collarbones and shins. Transfer-proof. Utilizar por todo el cuerpo para obtener un brillo integral, y aplicar en mayor cantidad sobre áreas específicas como las clavículas, las espinillas o los pómulos para una luminosidad que brilla desde el interior. Mezclar con la base de maquillaje para obtener una luminosidad adicional y mayor duración. Esperar hasta que esté completamente seco antes de vestirse.